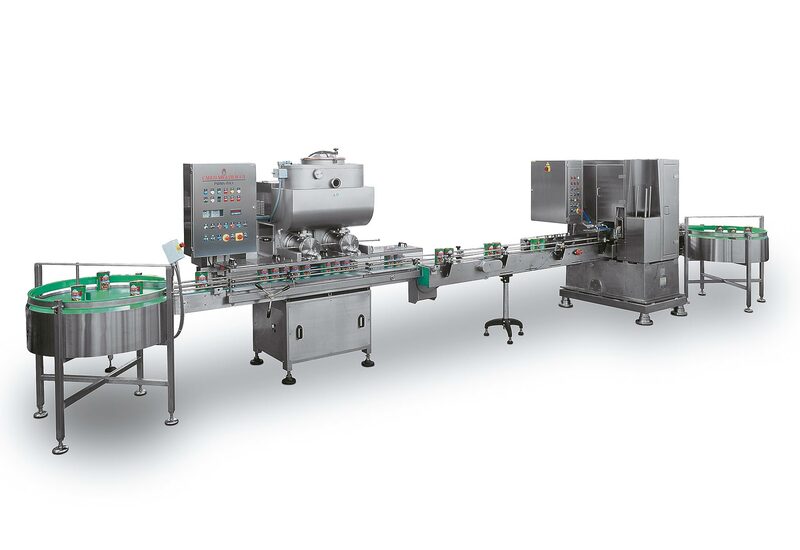 Oil vegetable packaging line - Carlo Migliavacca S.r.l. Oil vegetable GHEE" automatic canning line in tinplate cans size of 1 Lt. (Egypt). • Feeding disk for empty cans. • Nitrogen flushing device. • Automatic Doser mod. DUPLEX 150. • Fixed can Automatic Seamer. • Final disk for collecting full cans.